Microsoft Group has plans to relocate all or part of Nokia smartphone production lines from China, Hungary and Mexico to Vietnam in a move to restructure its business strategy. 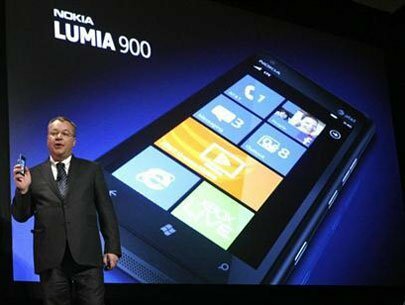 Nokia CEO Stephen Elop displays the Nokia Lumia 900 smartphone at the Consumer Electronics Show in Las Vegas January 9, 2012. Microsoft has plans to relocate all or part of Nokia smartphone production lines from China, Hungary and Mexico to Vietnam. According to Bac Ninh Province’s authorities, the firm has sent a document to related agencies in Vietnam announcing that it is going to shut down all or part of its factories in Komarom (Hungary), Beijing and Dongguan (China) and Reynosa (Mexico). Earlier, Nokia Vietnam said in a statement sent to relevant agencies to report on its business performance since 2011 and new business strategy after Microsoft took over Nokia that Microsoft has plans to relocate most smartphone production lines to Vietnam. The enterprise will close all plants in Hungary and part of the factories in China while turning the factory in Mexico into a service center. Meanwhile, Nokia factory in Bac Ninh Province will be expanded to facilitate production of smartphones running on Windows operating system such as Lumia 630 and 530 by the end of this August. The factory will turn out other types of smartphones at the end of this year. After shifting production from China, Hungary and Mexico to Vietnam, Microsoft will not purchase new production lines for the factories in the countries. The transfer started in May and is expected to finish in February 2015. This is a new step of Microsoft after acquiring Nokia. At the ground breaking ceremony of Nokia Bac Ninh factory, a leader of Nokia’s cell phone segment said that the facility would focus on feature phones to cash in on high consumer demand. Established in Vietnam in 2011, Nokia has produced 10 million feature phones of Nokia 105, 107 and 108 models on six production lines. The products have been exported to 73 nations worldwide. With an aim to turn Nokia Vietnam into a key production base, Microsoft plans to increase the number of production lines from six to 39 at the end of this year and monthly output will triple compared to 2013. To help Nokia Vietnam realize its scheme, the government of Bac Ninh Province has asked the Ministry of Science and Technology for assistance to speed up its technology transfer and production line imports as planned. However, a source from Nokia Vietnam factory in Bac Ninh Province said there has been no official announcement on production relocation from China, Hungary and Mexico to Vietnam. Industry insiders have raised concerns over the quality of production lines transported into Vietnam. However, they also expect that Vietnam will become a large cell-phone production center thanks to huge projects of Nokia, Samsung and LG. Microsoft acquired all Nokia’s device and service business operations in April. Nokia commissioned its factory covering 17 hectares in Vietnam-Singapore Industrial Park in Bac Ninh Province in October last year. The project requires over US$300 million, including US$140 million for the first phase, and will be able to turn out 180,000 products a year. The project will need 10,000 employees when it is completed. Other technology groups also have plans to relocate their factories from China to Vietnam to enjoy lower labor cost. According to the Japan External Trade Organization (JETRO), a factory worker in Hanoi is paid an average of US$145 a month compared to US$466 in Beijing while electricity and water prices here are also lower.